There is perhaps no more demanding industry than modern-day agriculture. At Claddagh Oil, we have fully taken into account the needs of the individual farmer as much as we appreciate the logistical requirements of the commercial agricultural centre. In an industry that is defined by a combination of efficiency, production and an often times demanding “bottom line”, we aim to provide Irish businesses with the most effective and viable source for fuel that is currently available. 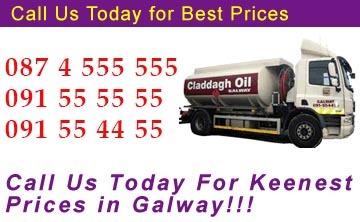 Also, Claddagh Oil will happily supply fuel oil for trucks and transport vehicles. We are just as able to accommodate single units as we can easily deliver fuel to a fleet of vehicles on a timely basis that will revolve directly around the needs of the customer. Cost savings is an important aspect of the agricultural industry and it is for this reason that fuel oil is primarily the energy source of choice. Many of these oils will burn substantially hotter than natural gas; allowing them to heat a larger area while consuming less fuel. Safety is also an important concern in the agricultural industry. Thankfully, heating oils and those used for transport fuel such as DERV (Diesel Engined Road Vehicle) are extremely safe as opposed to the more traditional counterparts. Even if exposed to an open flame, many of these oils will not be associated with the threat of explosion or combustion. In fact, traditional home heating oil must be present in a atomised form for it to burn. Therefore, farms will be much safer when utilising the oil that we supply. A final benefit specific to Claddagh Oil is the fact that our schedule is formulated directly around the needs of the agricultural customer as opposed to the other way around. Not only will we deliver our oil no less than six days a week, but our strategically located depots will allow for quick and easy transport to even the most remote of locations. So, it is now clear to appreciate the numerous benefits that agricultural fuel oil will provide to a thriving business. We are already supplying thousands of Irish farmers with our services on a regular basis and should you wish to learn more in regards to what we can do for your business, please do not hesitate to call us at 091 55 55 55.